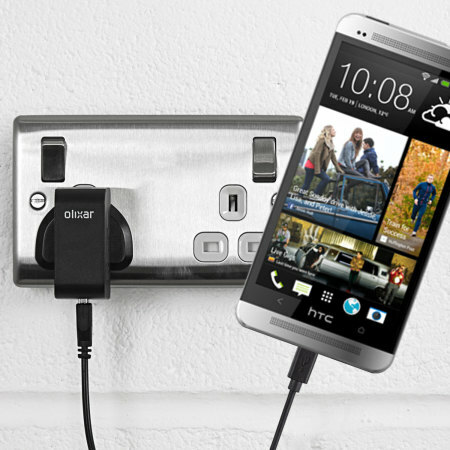 Charge your HTC One M7 quickly and conveniently with this compatible 2.5A high power charging kit. Featuring mains adapter and USB cable. I have been looking for a charger with enough Amperes for my relatively older model of HTC7. Previously all my charger, about 5 or so were destroyed because they were simply not compatible with my phone model. Firstly, I must say, the way this product was packaged was just amazing. Each component was sealed in separate packaging with strong waterproof material. The length of the wire, just perfect. The part that inserts into your phone's port was intact and a perfect fit. All in all, I am highly impressed and very pleased with the service provided by the company. The cost of the product was fair but the company is certainly worth every penny you spend on them.